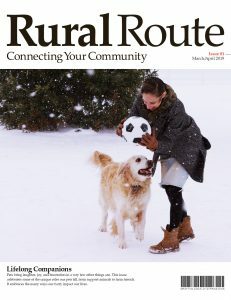 Rural Route magazine explores the ongoing story of our community. Established in 2009, it focuses on the things we all love, namely, the people in our community and the things that are important to them. We seek to bring our neighborhoods together by building connections and creating a sense of belonging. To do so, we search out the positive and deeply meaningful stories that reflect the spirit and generosity of our community, alongside do-it-yourself projects, expert insights, and other topics of local interest. From cover to cover, Rural Route captures snapshots of our collective story; a story that continues to be written, with your help! Congratulations! You’ve found the swallow hidden in the Rural Route magazine! Please submit the information below for your chance to win.